In a time when Government overreach and corruption is at its highest level we are raising money to defend the President of the United States Zoological Association (USZA) from ridiculous charges brought against him by the United States Department of Agriculture (USDA). Doug Terranova has long fought for the rights of responsible animal owners and has been targeted by animal activists inside the USDA many times; including at Public meetings and during inspections. In the last few years he has helped to file complaints against the USDA with the Office of the Inspector General as well as met with a multitude of Congressional Members and Committees to ask for Oversight Hearings of this Agency. For the past two years, the USZA has been conducting investigations and collecting evidence in anticipation of a case like this. We now have the opportunity we have been looking forward to. 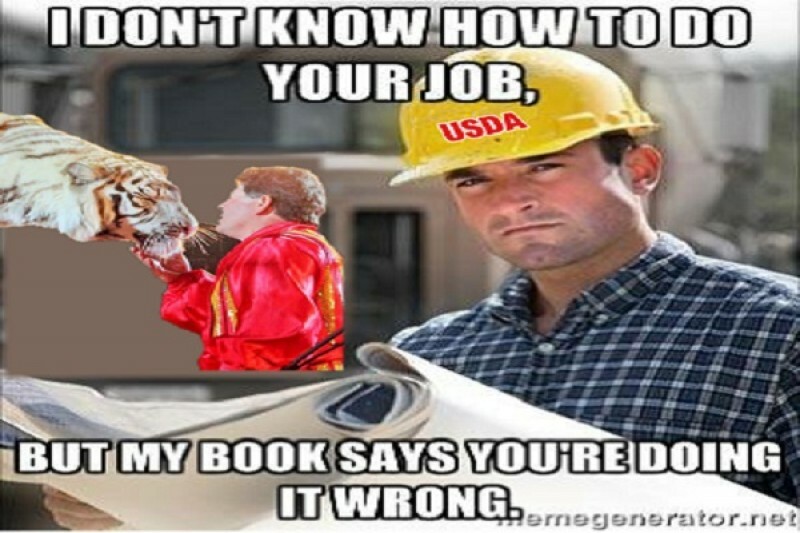 Currently the USDA has filed an action against Mr. Terranova that will give us an important opportunity to publicly expose, on the record, the hypocritical and corrupt goings on inside the USDA/APHIS Division. This is our opportunity to subpoena former Humane Society of the United States (HSUS) insiders at the USDA as witnesses, and to confront and cross examine them with hard evidence, publicly exposing their hypocritical positions against Private Owners. If you own, work, or breed ANY animal regulated by the USDA the outcome of this case will affect you. If you do not own or work animals but support those who do, you can help. If you are sick and tired of Big Government attacking small businesses and taking our rights away, you can help. Please donate to help in this legal fight to protect our rights. Share and Donate-Add your voice to Doug’s against the outreach of the USDA/APHIS Division…Hold them all accountable for wrongful actions and inappropriate inspections. Least anyone forget a USDA inspection in 2010 of a private owner on private property conducting no business that requires USDA permit or regulation. The inspector drove more than 250 miles to make that inspection and came onto private property without permission and/or any reason to inspect-Paid for with your taxpayer dollars-Over reach of the USDA/APHIS is putting it mildly!!! ~ by topcatsroar on January 24, 2016.